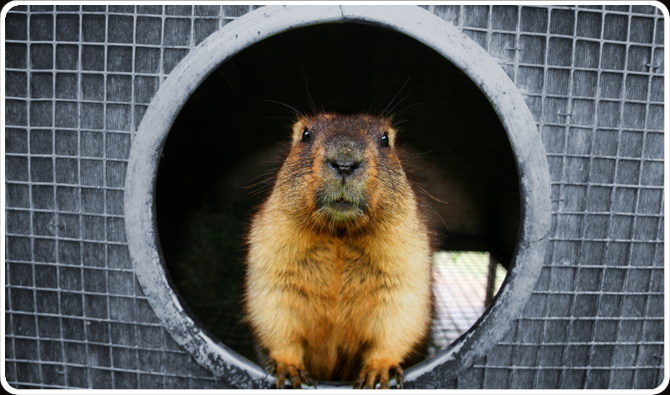 Welcome to the groundhog page! 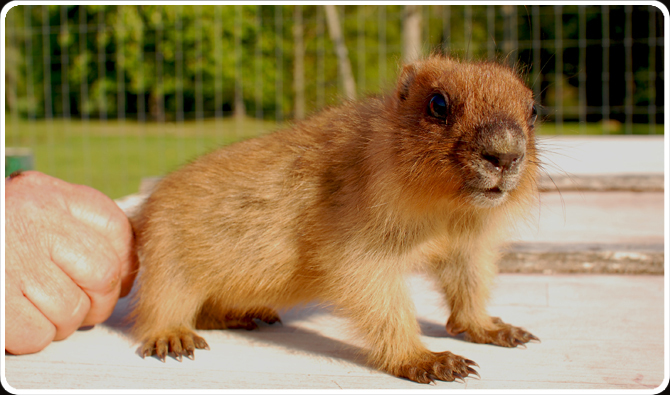 Marmots are the largest ground squirrels. They live both in Europe, North America and Asia. 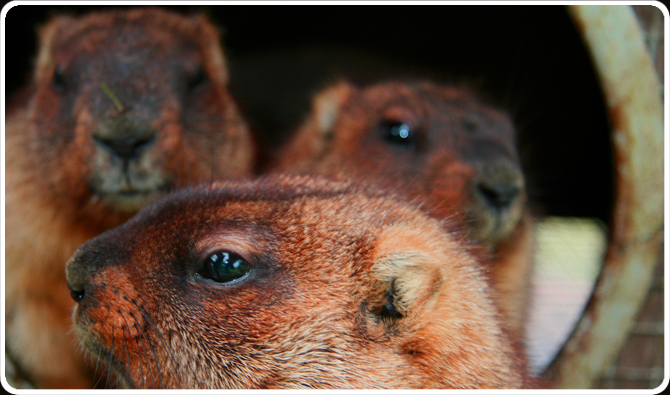 Marmots tend to live in mountainous areas; for example in Europe they live in the Alps, Carpathians, Tatra and Pyrenees. Marmots are very interesting animals, who can be described as big sleepyheads, because the coldest wintertime they spend in their lairs, but in the rest of the time they are eating very active in order to amass large quantities of fat, which could be used again in the winter. 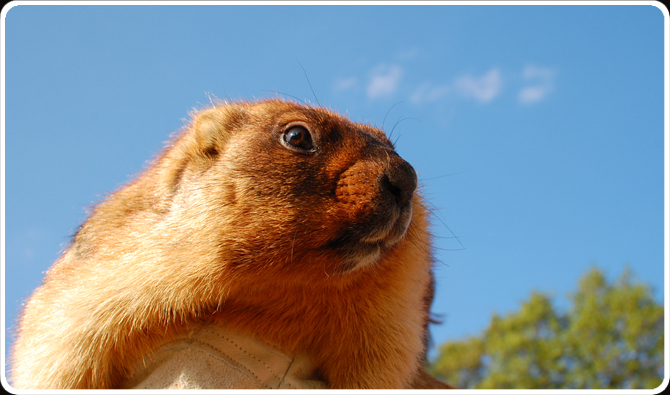 Probably many people have seen the funny film „Groundhog Day” with participation of famous groundhog named Phil. In Latvia this event is not celebrated, but from the end of may till the end of october groundhogs with pleasure make a showoff for visitors. 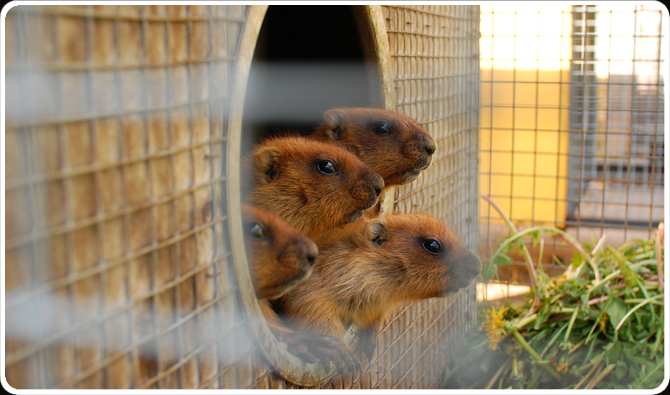 Here you can find more information about marmots and their living in the marmot farm „Jaunstuči” of Silvija Tetere in Reģi, district Alsunga. 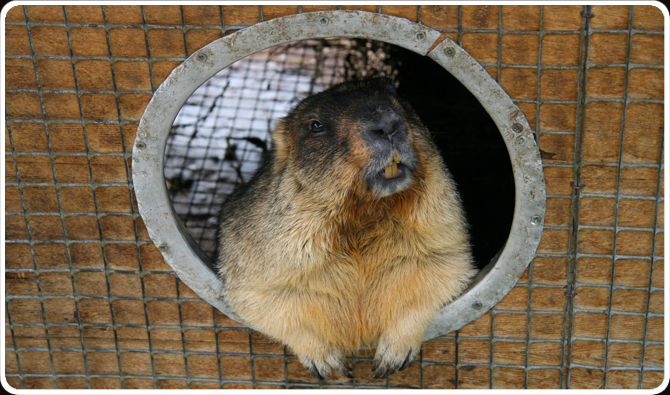 If somebody is interested to find out more about marmots and see them, it is necessary to contact with the proprietress of marmot farm.